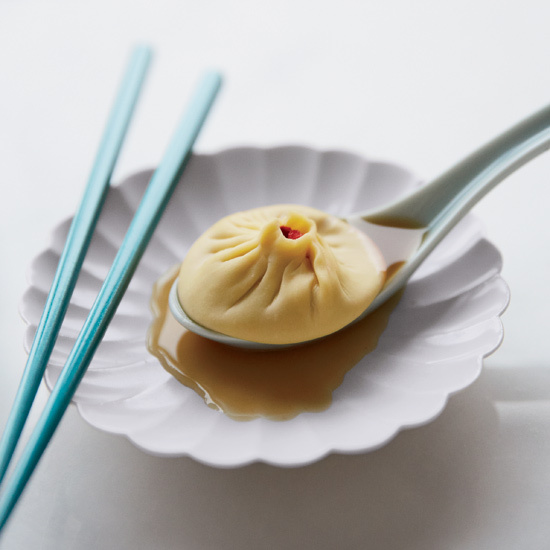 The secret to these amazing homemade dumplings, filled with a rich mixture of broth and ground pork, is a delicious homemade stock that is set with gelatin. 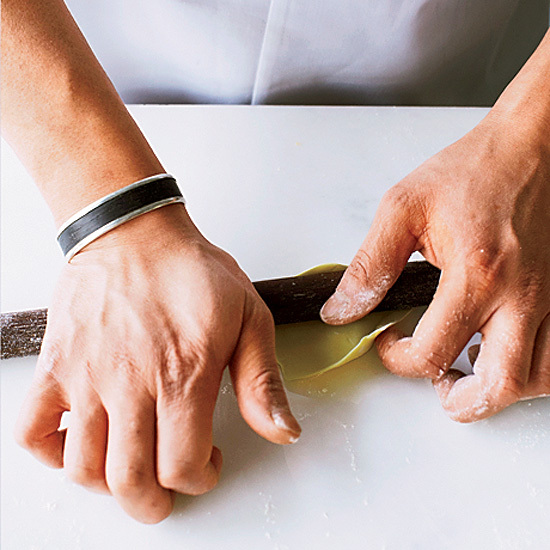 Divide the dough into quarters and, working with 1 piece at a time, roll into 1-inch-thick ropes. 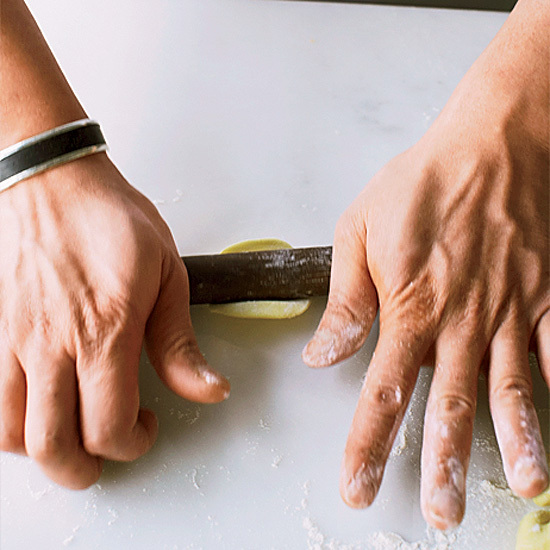 Pinch or cut each rope into 3/4-inch pieces and roll into balls. Using a dowel or glass bottle, roll each ball into an even circle. 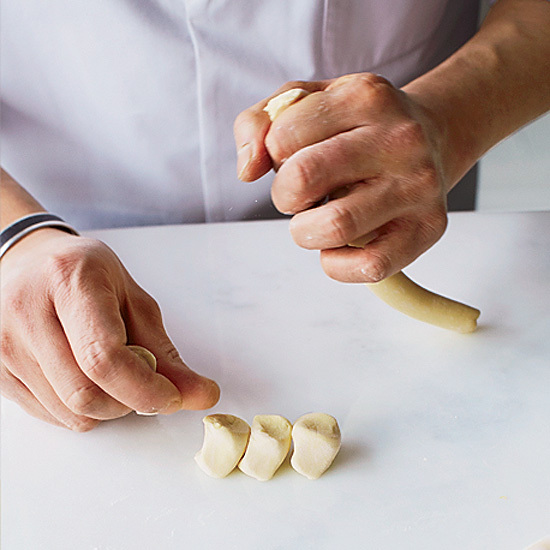 Continue rolling out the dough, rotating it as you go, to form a thin 3 1/2-inch round. 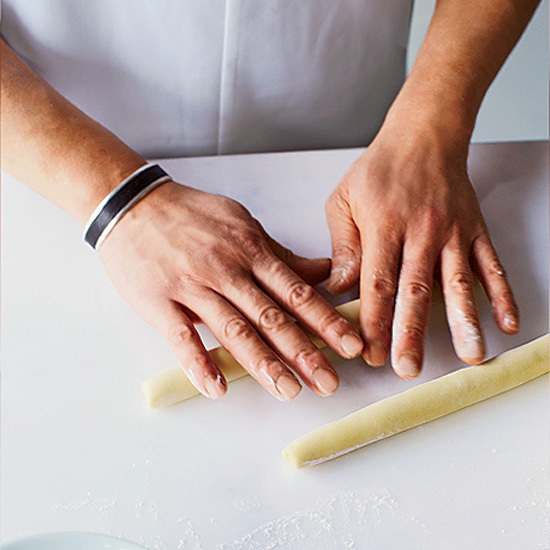 Using a small offset spatula, spoon or butter knife, spoon a well-rounded tablespoon of the filling in the center of each dough round. Carefully pinch and pleat the wrapper, using your thumb to tamp down the filling as you go; leave a tiny steam vent at the top. Fill a pot with 2 inches of water and bring to a boil. 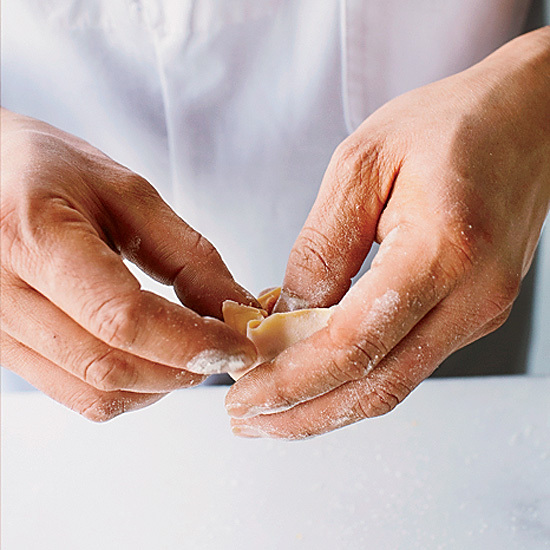 Fill a steamer basket with the soup dumplings, leaving plenty of space between them to allow for expansion as they cook. Cover and steam over the boiling water until the dough is shiny and the filling is soupy, 5 minutes. 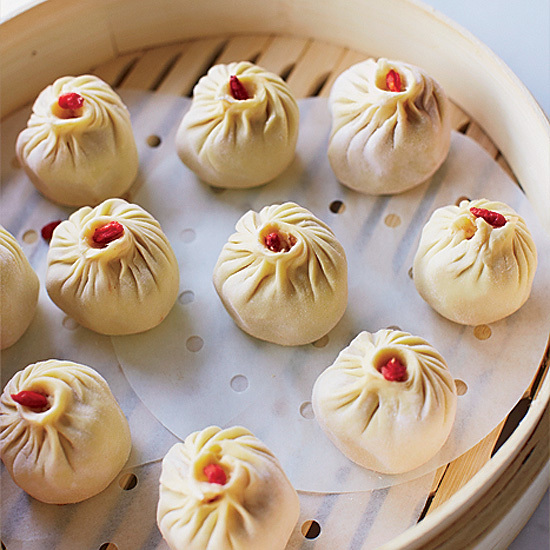 These soup dumplings are delicious on their own' they’re also good with a very simple sauce of Chinese black vinegar with julienned fresh ginger. 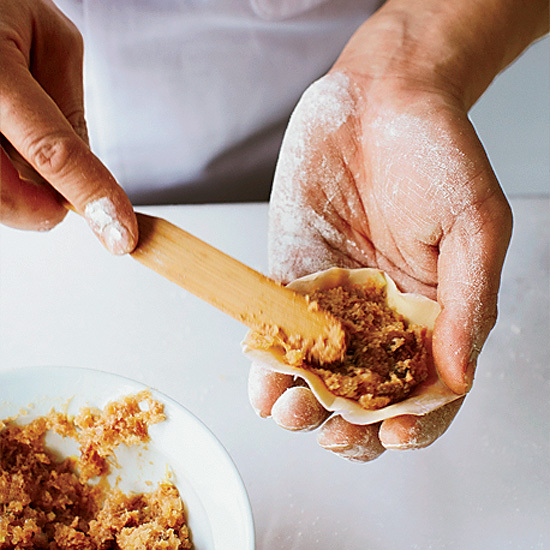 Drizzle the sauce on top of each dumpling before eating.